It was on my “to do list” for months. Send a card and the photo to Julie. Months I neglected it for other, seemingly more important tasks. 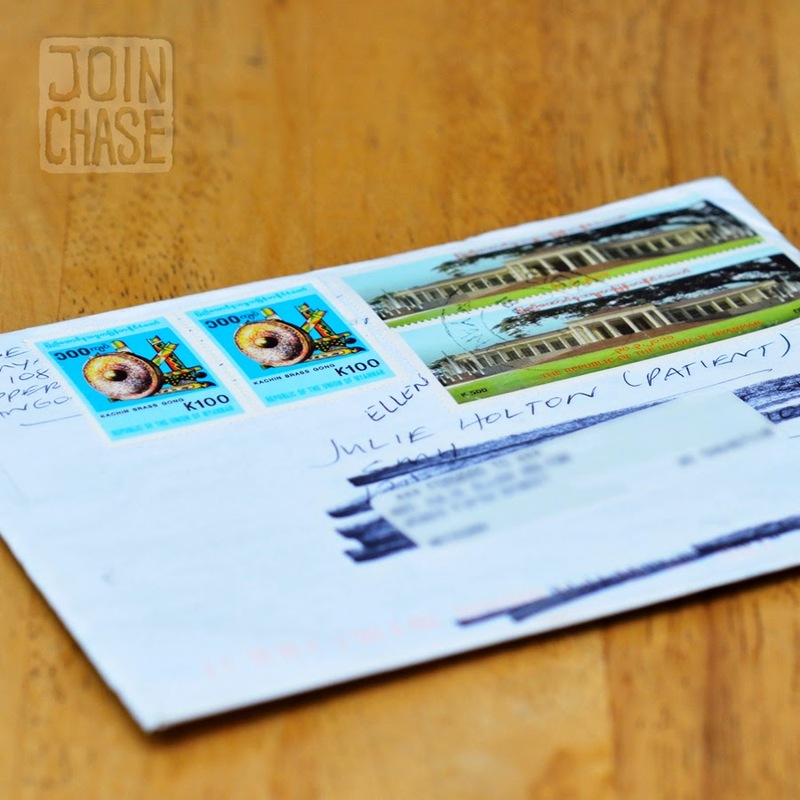 Even when I found out about Julie’s condition, I didn’t rush to send her correspondence. The amount of stuff I have ‘to do’ is towering – piles of notes upon reminders upon more notes and reminders. I’ll do it tomorrow. There’s always tomorrow, right? Julie’s state had worsened by the time I finally sent the letter. She was taken off the transplant list, and preparations for moving her to hospice from the hospital were in the works. What I’m left with is a glaring prompt, more bold than the bulleted items at the top of my ‘to do list’. The envelope I stamped and addressed to Julie came back to me. Unopened. She never got it. Julie never read the words I so desperately wanted her to know – how much she meant to me. Everything I should’ve told her months ago. She didn’t see the photo I enclosed, the picture we took together just days before I left for Myanmar. When she seemed well, happy. Recently, I’ve been discerning what it means to be intentional, what it means to purposefully steer life. The words of Danielle Tietjen, in her blog post about a Harvest Supper, have reawakened my internal desire to intentionally live. Dani is one of the most intentional people I know. In everything she does, in all her roles and responsibilities she’s intentional. She’s intentional about creating beautiful spaces with which to be surrounded. She’s intentional with love, to whom she stretches that love, and how it’s given. She’s intentional about seeing life’s connectedness. She’s intentional with her words, in how she uses them to express in what ways she lives intentionally. I’m thankful for Dani’s intention. She’s inspired me to be more intentional about intentionally living. Since this extra boost of intentionality took over, my day has been filled with more purpose – more meaning. I was intentional about thoroughly enjoying the hot shower I got to take this morning. Bathing with hot water is a luxury these days. I was intentional about saying “hello” to someone even though I was in a hurry. We formed an instant bond as a result. Both of us taught in South Korea. We’re in Myanmar now. If I hadn’t taken the time to hurriedly say ‘hi’, we would’ve never known. I was intentional about visiting links friends have shared. Because there’s a reason they want me to follow them, there’s intention behind what they want me to see. I was intentional about creating a comfortable learning environment for my private students. I was intentional about watching it rain, feeling thankful for its freshness. I was intentional about preparing my lessons ahead of time, to think about the students I’m making them for as I arranged this week. I was intentional about smelling coffee every time I made some. Few things in life are as enchanting as the scent of freshly brewed coffee. I thought about the hands that picked the beans, and the sunlight that roasted them. I was intentional about baking cookies for my landlady because she asked for them. I was intentional about positively interacting with the children in my neighborhood, even though I didn’t take time to play. I was intentional about going for a run. I was intentional about venturing to the market. I was even intentional about buying flowers just because. I was intentional about gorging on fresh fruit immediately upon returning to my apartment, while cooking a huge meal featuring most of my bazaar selections. Today was a day of intentions, about being intentional. I was intentional in every thought, word, and action. I was intentional about making plans for what’s ahead as well, dwelling on aspects of life in which I want to be more intentional. I want to be more intentional about waking up early enough to enjoy my mornings. Without rushing. Mentally preparing for the day, for every interaction. I want to be more intentional about enrolling in a Burmese course. It’s been almost a year. I should know more than mingalabar (hello) by now. I want to be more intentional about making plans for my place. A flat I’ve shared for nearly a year has become my own. If I stay in Myanmar longer, I want to intentionally fashion a space I love to live in – a space to freely dance, to deliciously cook, to double as a classroom, a studio, and to host grand gatherings. I want to be more intentional about forming a community I want to be part of, with likeminded individuals, with diversity and differences. Most importantly, I want to be more intentional about letting others know what they mean to me – how much they mean to me – every chance I get. Because I wasn't intentional about sending a card, a person who made an impact on my life never received it. Julie will never know what she meant to me. She passed away. All I can do is carry the returned letter with me for the rest of my life – to remind me about the importance of being intentional. 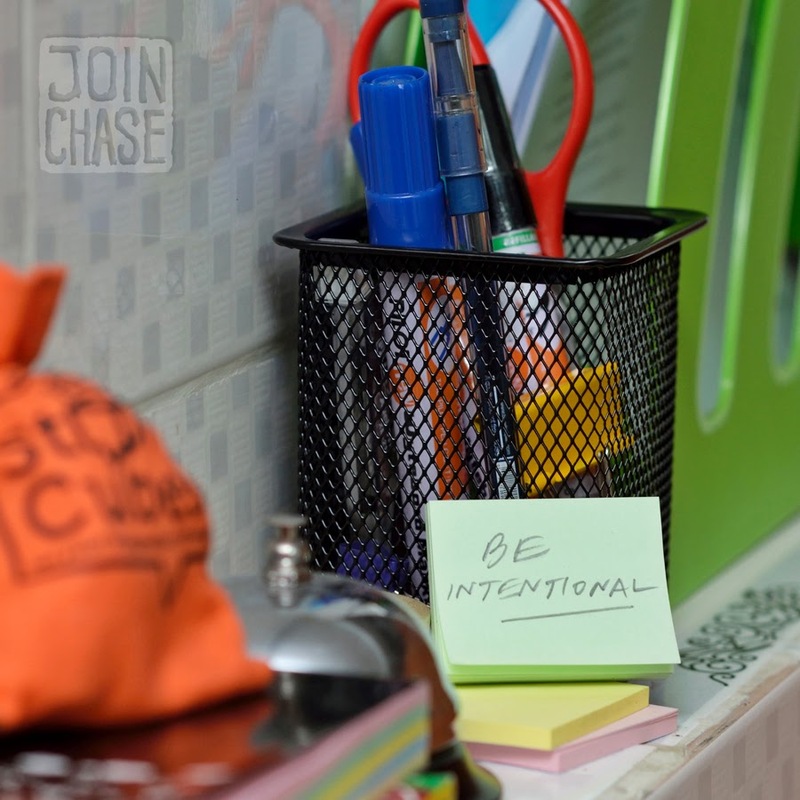 The art of intentionality is more than having good intentions. It's a lifestyle choice that takes a lot of effort. Start with being intentional for a day, today. And read Dani's blog for more motivation! Hi chase! I stumbled upon your blog while looking for winter camp ideas. It's that time of the year when everything is dreary and all motivation is lost. Your post hit me like a ton of bricks. Thank you. I endeavor to be more intentional about my actions and time here in Korea. Feroza, thank you very much for taking time to comment. I hope you found some ideas for your winter camp! I'm often reminded of how important it is to live intentionally. I hope by sharing these realizations others will be more motivated make it a priority as well. Are you still in Korea? Where now, or where to next?